Like a desert oasis, Sideways Deli Cafe emerged amongst the quiet suburbuan streets of Dulwich Hill. 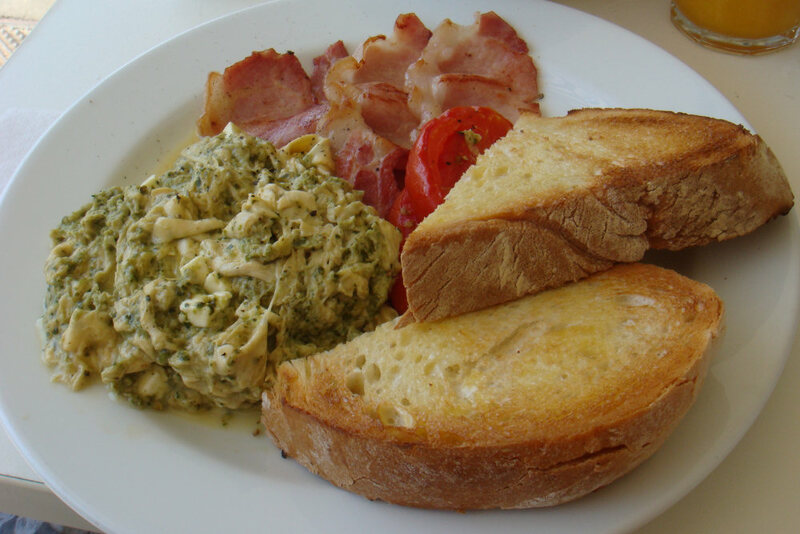 We found that with good reason it proudly boasts its Inner West Business Awards 2008 and 2009 for most outstanding cafe. There is ample seating both inside inside & out for small & large groups. The wait staff are very welcoming and fast. The other patrons quiet and friendly, lending to a relaxing atmosphere. Despite the fact that the café is situated directly next to a roundabout, there was little to no traffic and none of it consisted of any loud buses or trucks. The frappes proved to be fresh and delicious. 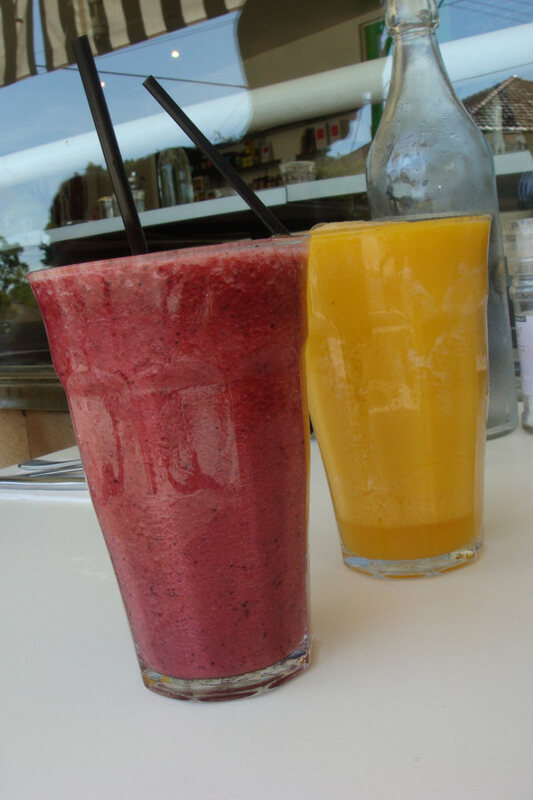 The pineapple, berry & mint ($5.70) delivered the flavours of all the ingredients it promised. The orange, mango & ginger ($5.70) seemed to be lacking ginger but both drinks were the perfect start to a hot summer’s day. More fruit was on the way in the form of one of the best fruit salads we have experienced in terms of variety. 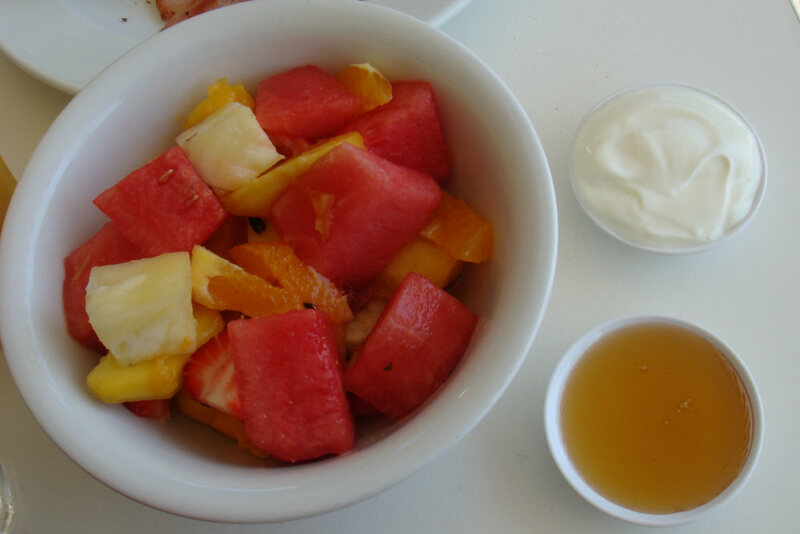 The seasonal fruit salad with yoghurt and honey ($9.50) contained pineapple, watermelon, kiwi fruit, nectarine, strawberries, orange. The fruit was fresh and the juices combined at the bottom of the bowl to make a refreshing blend. 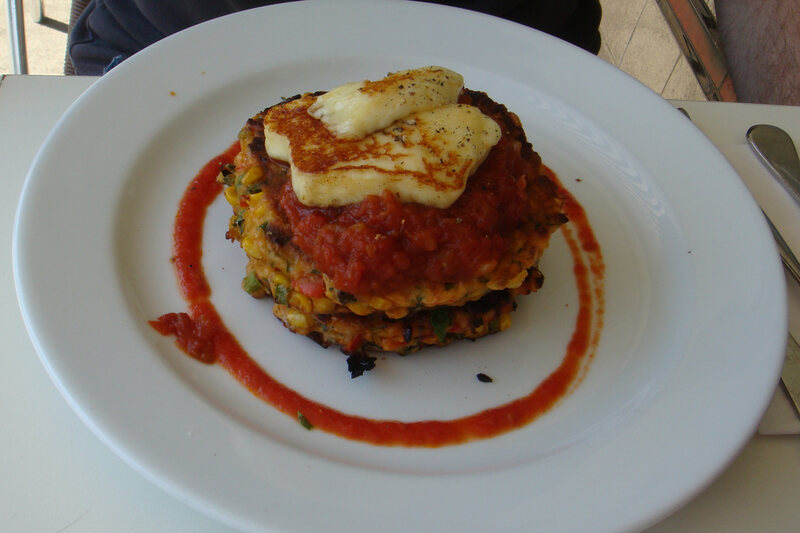 … the corn fritters ($14.50). The dish consisted of two corn fritters served with sautéed spinach in between. This was topped with a tomato relish and two slices of fried haloumi cheese. Despite its appearance this was a a filling dish. The fritters were thick with lots of corn and herbs and was a standout amongst our orders. 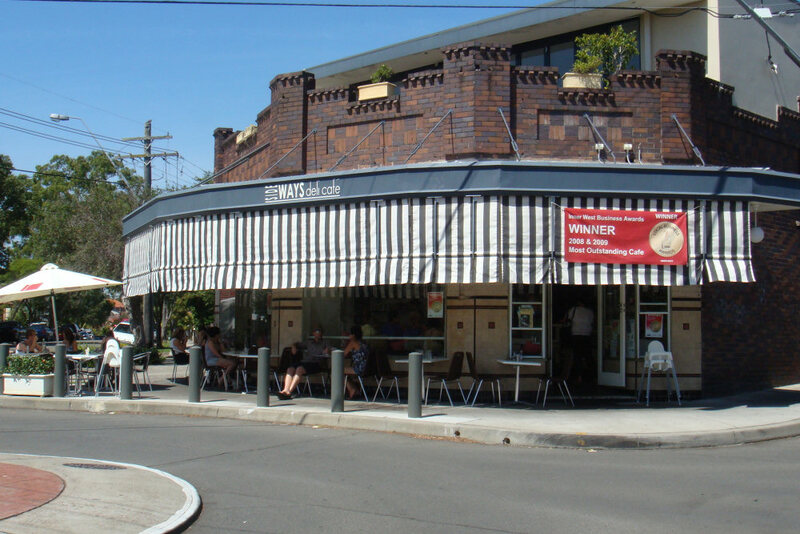 This entry was posted in Sydney - Western Suburbs and tagged Dog friendly, Outdoor seating. Bookmark the permalink.